Generally, DDA housing schemes get a lot of attention from investors and homebuyers, but the interest has been waning. The DDA has offered to sell around 18,000 flats this time. 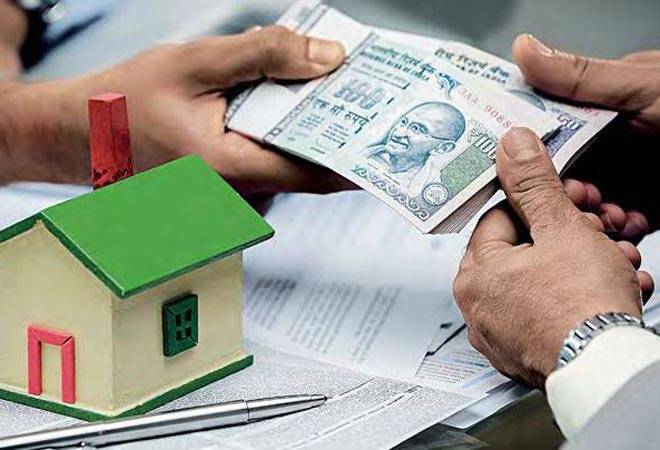 The Delhi Development Authority (DDA) is accepting applications under its Housing for all-2019 scheme. The last date to apply is May 10. The DDA has offered to sell around 18,000 flats this time. Generally, DDA housing schemes get a lot of attention from investors and homebuyers, but the interest has been waning. In 2014, they did receive close to eight lakh applications against 25,000 flats on offer. But many allottees were disappointed with the construction quality, size of the flat and poor infrastructure in the vicinity and hence surrendered their flats. The response to the subsequent DDA housing schemes remained lukewarm. The DDA Housing scheme 2017, which included unoccupied houses from the 2014 scheme, got only around 50,000 applications against 10,000 flats. "Demand for EWS and LIG flats of DDA has been poor given smaller size of apartment. DDA needs to improve amenities to attract demand for EWS and LIG flats," says Ankur Dhawan- Chief Investment Officer- PropTiger.com. With regards to the sizes, the DDA's offering does not seem to gel up with the pulse of the market with over 87 per cent of the supply being in LIG & EWS category, which also gets reflected in the units surrendered citing this as the prime reason," says Ashutosh Kashyap, General Manager, Valuation & Advisory Services at Colliers International India. Experts are hopeful the DDA scheme is likely to get a better response this time, but mostly for the flats located in Vasant Kunj. Vasant Kunj is one of the most sought after locations in Delhi, where the supply is limited. "DDA has a monopoly when it comes to developing housing in Delhi. Very few private developers have their projects in Delhi and all of these are luxury apartments. Hence for LIG/MIG segment, DDA is the only option to secure housing in Delhi. Though situation will soon change with land-pooling seeing traction on the ground. For buyers looking to secure Vasant Kunj, this is an attractive option," says Dhawan. "The high income group (HIG) category varies between Rs 10,000 and Rs 12,000 per square feet for Vasant Kunj area, which is attractive given the advantages the location has with accessibility to various social and physical infrastructure facilities," says Samir Jasuja, Founder, PropEquity. "An ideal proposition with DDA scheme is that flats are located in an established micro-market and lies in proximity to employment hubs. In the present case, Vasant Kunj offers a far more lucrative proposition owing to its location, proximity to employment hubs, positioning of the micro-market and potential of price appreciation, to name a few," says Ashutosh of Colliers International India. There is a need to improve the basic amenities across the area to attract the buyer, say experts. "Narela as a location lacks occupancy and connectivity. Besides, basic social infrastructure such as malls, cinema hall and shopping centres etc. have not been developed in this region. Apart from limited transportation, safety is also a big concern in this region," says Jasuja of PropEquity. "The average prices for such flats for Narela are closer to the upper range of existing prices in the micro market, thus reducing the lucrativeness of the proposition. In addition, supply in Narela faces pressure from ample housing options available in Kundli (7 km away) that are available for base selling price (BSP) of around Rs 3,000 per square feet," says Ashutosh of Colliers International India. The interested buyers must do their own research regarding the location, pricing, and the size of the flat before investing. Visit the location where you plan to buy. Explore sample flats thoroughly to get the idea of the size of the flat. As buying a house involves a big investment, it is better to make an informed decision than regretting it later.